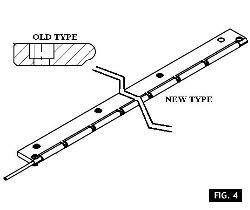 The upgrade consists in the replacement of the belt groups with state-of-the-art groups featuring a new design in the driving and centering system. This is part of a series of retrofitting studied by SMI in order to upgrade to the latest version all the machines already installed on site. In the system previously installed, the belt was driven by a traction roller (red part, picture no.2) on which the belt (blue part, picture no.2) was wrapped and pressed by means of a counter-roller (yellow part, picture no.2) and of a pressing device (green part, picture no.2). 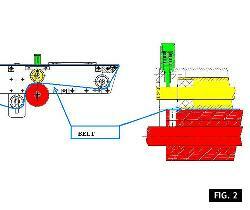 This upgrade offers a new mechanical solution, by eliminating the counter roller and the pressing devices (see color picture, no.3). The new solution offers several advantages and fits a larger range of belts (double-layer or single-layer belts), thus reducing the radial plates and the empty space between one belt and another, in case you choose a single-layer belt. Thanks to the flexibility of the new system, all anomalous tensions are eliminated and the traction friction is reduced; as a consequence, the surface temperature is reduced, thus allowing a smooth transportation of the product and a reduction of the belt wear. This upgrade includes the supply of a new type of “long-life” roller plates, which avoid the belt friction on the dead plate, ensuring longer life of the belt. 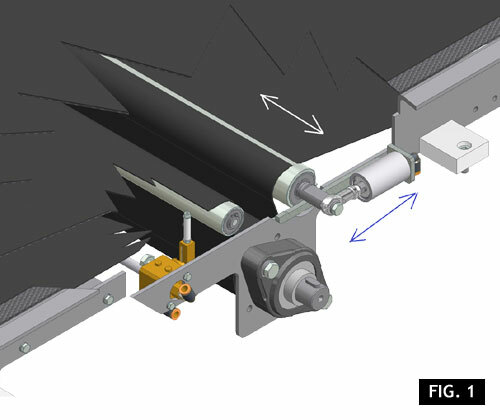 The pneumatic system checking the belt side movement ensures a constant correction of the belt position (picture no.1), preventing any tears due to fortuitous contact with external elements; the new application ensures a more dynamic group, always granting an excellent traction, independently of the external surface wear and always compensating any extension of the belt (within reasonable limits). 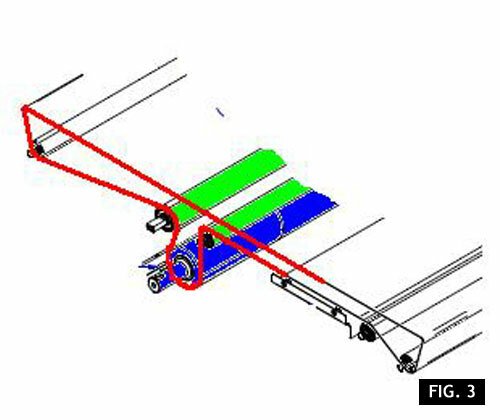 Moreover, the regulation in case of belt replacement is easier, because the system does not require manual adjustments, except for the positioning of the three-way valve; by contrast, the previous system needed a technician for the adjustment of the counter-roller and it was necessary to periodically check that the adjustment did not cause the belt deviation. If not specified, this offer does not include the installation and start-up of the new group. - Reduced energy consumption of the gear-motors operating the belts.